The third Baltic Carbon Forum with 40 participants was in Warsaw October 29-30th 2015, focusing on visions and barriers for CCS in the Baltic Sea Region with presentations on European, BSR region, Nordic and Polish CCS issues and the EU BSR strategy. In addition projects and plans for the future networking process were discussed in Task Force meetings. 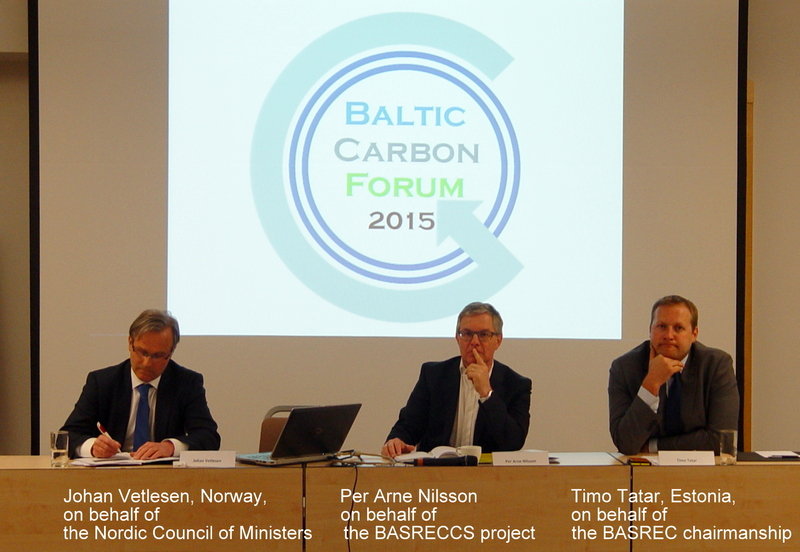 The second conference BALTIC CARBON FORUM 2015 was in Tallinn on April 22-23, 2015 focusing on building and developing the network on CCS in the Baltic Sea Region. The conference programme was carried out during two days with more than 30 participants starting with meetings in the interim task forces and ending in a launching meeting of the network to confirm the network governance, work plan and activities. An instant report is distributed. The Conference was arranged in Warsaw on March 6-7 focusing on a road map for CCS in the Baltic Sea Region aiming at to clarify how joint regional solutions could lead to a rapid and more cost-effective implementation of carbon capture and storage projects with a specific view on regulatory issues and public acceptance. The findings of the conference was presented to the BASREC ministerial meeting in May 2012. 5-0 Session 5: What should authorities do and how should it be done?